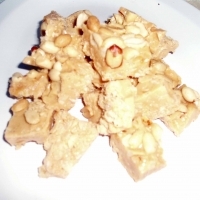 Here's another easy candy recipe using Rice Krispies, peanuts, marshallows and peanuts. 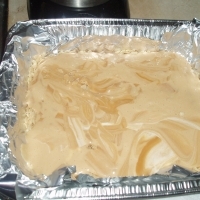 Its a nice candy to bag for bake sales and to put out on for family events and potluck meals. 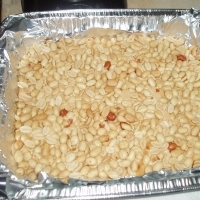 Using an ungreased 13x9 inch aluminum pan or a pan covered in Release Aluminum foil, pour the rice krisies into the bottom of the pan. 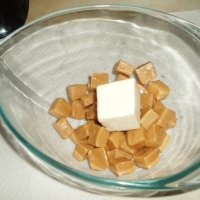 In a glass microwave-proof bowl, add the caramels and butter. Heat on high for 2 minutes and stir. 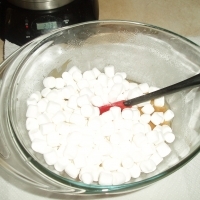 Add 2 cups of marshmallows. Heat on high for one minutes and stir. 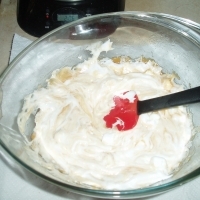 Pour this mixture directly over the rice krispies and spread quickly and evenly. 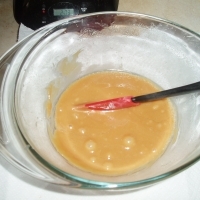 Pour the peanuts over the caramel mixture and press FIRMLY into the caramel. Cool and cut into small squares and serve! 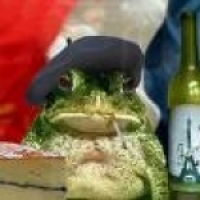 I have to add this. Men love these! We'll make this for the next school fete.... after a number of pratice and tasting sessions of course. Sounds gorgeous. OMG!! Great combination and the pictures are superb too.